Although less than one litre in volume, our mini high-performance amplifier boasts two channels of 100 watts into 4 ohms each (50 W @ 8 Ω). Its state-of-the-art class D power blocks with passive cooling make sure that it will always keep a cool head. 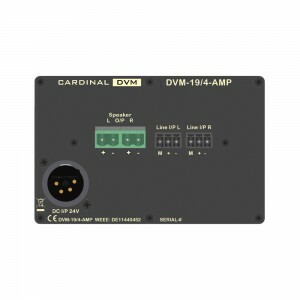 The DVM-194-AMP has an intuitive menu control incl. a high-resolution display. Moreover, the device is fully remote-controllable (standby/operation, DSP functions) and, via LAN interface, allows to monitor the operation status (temperature, clip etc.). The built-in DSP provides you with an input mixer, 5 fully parametric filters (incl. high- and low-pass function), a delay plus a level control for each output channel. Both channels of the input and output sections are equipped with EUROBLOCK connections. Optionally the 2-channel transformer unit DVM-194-100V is available. The ins and outs are realised via 5.0 mm EUROBLOCK connectors. 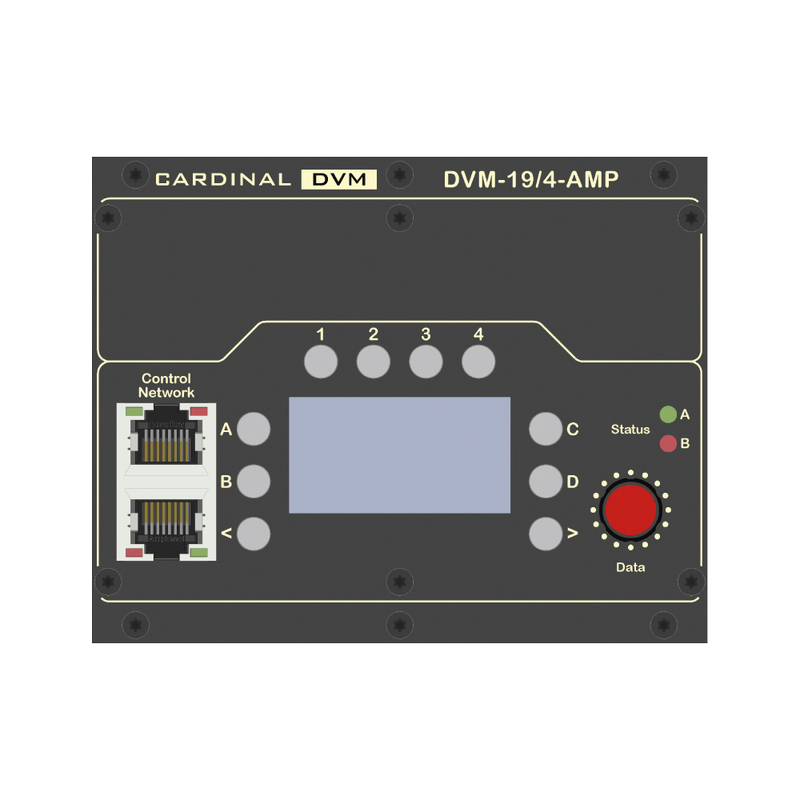 The DVM-194-AMP offers the full scope of functions, the DVM-194-AMP-LITE only has level and muting controls as well as the remotecontrolled standby function.